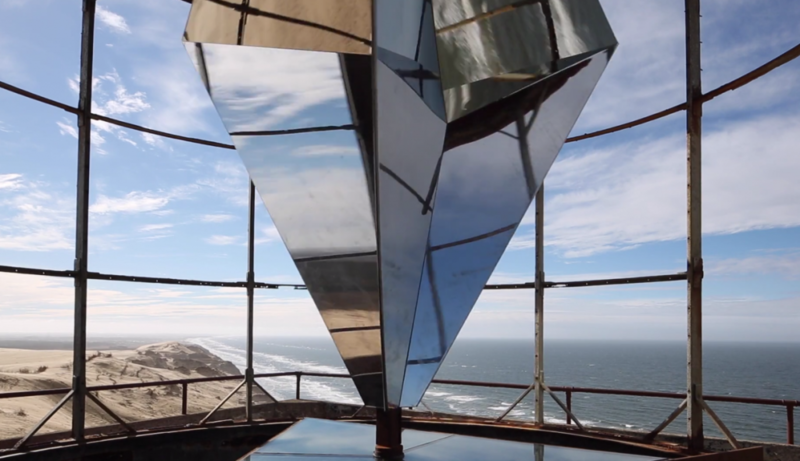 A 166-year-old lighthouse located on the northwestern shore of Jutland has this year been transformed into a work of art. 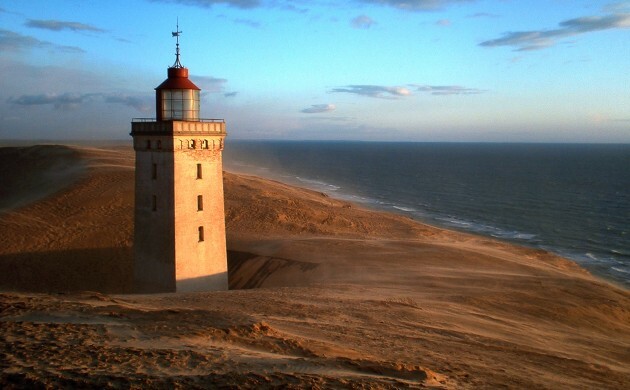 The ageing Rubjerg Knude Fyr is therefore no longer a light sender, but a light reflector. To revamp the final years of a building that is expected to be completely eroded by sand and wind in the near future, Copenhagen-based architecture firms Vessards’ Studio and JaJa Architects decided to build a kaleidoscope on top of the tower. The popular toy is formed by a set of mirrors that reflect light in colourful patterns. Therefore today, instead of sending light out onto the sea, the lighthouse captures it, creating spectacular light shows that since March have attracted tourists and locals to a site doomed to be destroyed by nature over time. The building was decommissioned in 1980 and transformed into a museum. However, as the sand continued to eat up the building and the house built next to it (now covered in sand), the structure was finally abandoned in 1992. The kaleidoscope serves to give life to the building’s final years instead of turning it into an abandoned wreck.